Whites prefer to live with whites: Why integrating America’s neighborhoods and cities is harder than we think. Why integrating America’s neighborhoods and cities is harder than we think. 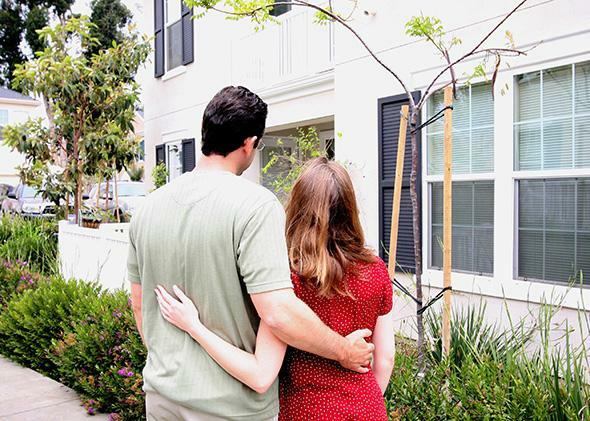 White homebuyers are reluctant to look past their preconceived notions of class. At the same time, this polling doesn’t tell us why. I implied prejudice, but there are other options. It could be ethnocentrism—positive feelings about your racial compatriots. Or it could be a class difference, where whites avoid black neighbors—and black neighborhoods—out of real or perceived differences in the quality of homes, schools, services, and amenities. And if so, there’s a related question: Do blacks act similarly, avoiding black or significantly black neighborhoods for the same reason? Because of our egalitarian norms and the real wealth and income differences between blacks and whites, it’s easy to conclude that white preference for white neighborhoods is a kind of class discrimination, which we can fix through active, interventionist policy. But in this situation, the answer we might want isn’t the one that’s true. For white homebuyers, race matters, and not just as a proxy for class. The main vehicles for this finding are a series of experiments from Maria Krysan, a sociologist at the University of Illinois at Chicago. In more than a decade’s worth of studies, Krysan and her collaborators have looked at the relationships among neighborhood desirability, class, and race, drawing from surveys and interviews with whites, blacks, and other groups. In one experiment Krysan and her researchers developed 13 videos showing five neighborhoods of different social class levels: lower working class, upper working class, blemished middle class, unblemished middle class, and upper middle class. Participants would infer the wealth and income of neighborhoods in the short videos by aesthetic qualities: the size of the lots, the conditions of the homes, and so on. A blemished middle-class neighborhood would have homes with overgrown yards and boarded-up garages, while an unblemished one would have neither. In addition to class characteristics, Krysan also added people. For four of the five neighborhoods—the fifth was empty, as a control—researchers made three variations. Each one had a different racial composition. In one version of the upper-middle-class video, the residents were white. In another they were black. And in another there was a mix. They would wear the same kinds of clothes and do the same kinds of activities. In private, participants would watch the videos—with random assignments for the racial composition—and then rate them in terms of home costs, property upkeep, safety, future property values, and school quality. An earlier experiment using real-life cities had similar results. Researchers asked respondents in four metropolitan areas—Atlanta, Boston, Detroit, and Los Angeles—to rate 23 communities of different incomes, social characteristics, and racial compositions. Again, class matters, but so does race. With more blacks came a lower rating, even when the neighborhood was prosperous. As for ethnocentrism? In a study of whites who flee, Krysan found that negative stereotypes—and not pro-white feelings—were the “strongest predictor of white-flight attitudes.” The more people believe that blacks will bring crime and poverty, the more likely they are to leave when black families arrive. Race matters for blacks too, just in different ways. Blacks aren’t averse to black neighbors. In another similar video experiment, blacks gave their highest ratings to mixed-race neighborhoods, followed by black neighborhoods, and ending with white ones. Fear shaped these feelings. For all-black neighborhoods it was fear of official neglect from authorities and elected officials. For all-white ones it was fear of discrimination and unfair treatment from neighbors and others. And while Latinos aren’t the focus in this work, other research finds that “whites prefer living with Latinos over African Americans … [and] Latinos prefer neighborhoods with both a significant proportion of Latinos and whites,” although they prefer integration into all-white areas to integration with black Americans. What does this all mean? As it stands, segregation is still the rule. And whites in particular live in mostly white neighborhoods, with little if any movement into significantly or even predominantly black areas. If this preference is a proxy for class—if whites don’t oppose black neighbors, just the conditions of black neighborhoods—then integration becomes an easier task: Improve mixed-race and predominantly black neighborhoods—enhancing schools and services—and you attract white buyers, increasing diversity and breaking down our walls of separation. But to a good degree, this preference is prejudice—a function of anti-black stigma. In which case greater integration—and greater racial equality—is even further away than it looks.